Kollam Junction railway station (station code: QLN) is a junction station situated in the city of Kollam in Kerala, India. It is the second largest railway station in Kerala in terms of area and is one of the oldest railway stations in the state. World's second longest railway platform is situated at Kollam railway station. Kollam Junction lies on Kollam-Thiruvananthapuram trunk line. It is operated by the Southern Railway Zone of the Indian Railways and comes under the Thiruvananthapuram railway division. The annual passenger ticket revenue of Kollam railway station is ₹64.23 crore (equivalent to ₹67 crore or US$9.4 million in 2018) and 23,048 is the daily ridership through this station. It is one among the few railway stations in Kerala having two terminals with ticket counter facility. Three express trains have been operating from Kollam Junction railway station to South Indian cities of Chennai and Visakhapatnam: Visakhapatnam–Kollam Express (weekly), Anantapuri Express (daily) and Chennai Egmore–Kollam Junction Express (daily). Kollam was the fifth city in Kerala to be connected to the nascent Indian Railway. The idea of a rail link from Chennai to Kollam, then the trading capital of the Travancore Kingdom was first conceived in 1873. The line was sanctioned by the Madras Presidency in 1899 and a survey completed in 1900. The railway line was built jointly by South Indian railway, Travancore state and the Madras Presidency. Kollam's (in English - Quilon) railway station was built in 1904 by Sree Moolam Tirunal Rama Varma, Maharaja of Travancore. It was the ruler's desire to create a rail link between Kollam, the then commercial capital of his State and Madras. The meter gauge line from Kollam to Punalur was inaugurated on 1 June 1904. The Kollam-Sengottai railway line was inaugurated on 26 November 1904. The meter gauge line was later extended to Chala at Trivandrum via Paravur and Varkala and inaugurated on 4 January 1918 The meter gauge railway line from Kollam was extended to Ernakulam via Kottayam on 6 January 1958. The meter gauge lines between Kollam and Ernakulam were converted to broad gauge in 1975 and inaugurated on 13 September 1976. The broad gauge conversion between the Punalur and Kollam sections was inaugurated on 12 May 2010. There was once a 2.4 kilometres (1.5 mi) meter gauge line connecting Quilon Junction and Ashramam Maidan. During the inauguration of the Kollam-Punalur meter gauge line in 1904, parts of locomotives which were to be used for Quilon-Schencottah line were shipped to Quilon Port from Tuticorin Port. They were assembled at the Ashramam Maidan, which was an open ground. The line was laid to carry these locomotives to the main station. The line was dismantled in 2000 to allow for town expansion. There are a total of 17 tracks in the Kollam railway station, 2 lines are passing through the MEMU shed. The station has 6 platforms for handling long distance, passenger, MEMU & goods trains. The platform 1 is divided into two sections. Platform 1A handles the trains to Punalur-Sengottai line and platform 1 handles trains towards Trivandrum Central. The platform 1 and 1A together have a length of 1,180.5 m making them together the second longest railway platform in India. The station has a MEMU shed which is situated near to Platform 1A. An FCI godown owned and operated by Food Corporation of India is also situated near Kollam junction. The annual passenger earnings from Kollam railway station shows a steady growth for several decades. Kollam MEMU Carshed is constructed at a cost of ₹40.68 crore (US$5.7 million), for Mainline Electric Multiple Unit (MEMU) rakes. It was formally commissioned on 1 December 2013, five years after its completion. Now the railways is operating 3 pair of Kollam-Ernakulam (via Alappuzha and Kottayam) via both the routes and a Kollam-Kanyakumari (via Trivandrum, Nagercoil) services from Kollam. Kollam MEMU Shed is the largest MEMU Shed in Kerala, which is equipped with most modern facilities. There are 3 express train services originating from Kollam Junction. The services connect Chennai Egmore and Visakhapatnam cities with Kollam. Construction works for the second terminal at Kollam Junction station is inaugurated by Union Minister for Railways Suresh Prabhu on 12 February 2016 and is expected to complete by October 2018. The modernization works of the old terminal including works for lifts, escalators, new air conditioned waiting area etc. have been initiated in the railway station but not yet completed. Kollam is among the first 100 railway stations in India selected for providing high-speed Wi-Fi services by Google, named as ‘Project Nilgiri’. There are 5 railway stations from Kerala in the initial stage. The service inaugurated at Kollam station on 26 December 2016 by Suresh Prabhu, Railway Minister of India, through video conferencing. The engine of 56307 passenger derailed on 6 July 2018. The engine of 16723 Express caught fire at Kollam Junction on 16 July 2018. Wikimedia Commons has media related to Kollam Junction railway station. 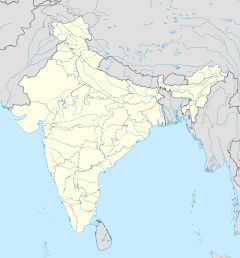 ^ "West Bengal: tea plantations and other Raj-era relics". 2 November 2014. Retrieved 21 December 2018. ^ "Timings of new trains announced". The Hindu. Retrieved 22 October 2018. ^ "Engine of Ananthapuri Express catches fire at Kollam station". Times of India. 17 July 2018. Retrieved 22 October 2018. ^ "After 19 years, Chennai-Kollam regular train service to resume from Monday". The New Indian Express. 3 March 2019. Retrieved 3 March 2019. ^ "A station of yore, its golden links". The Hindu. 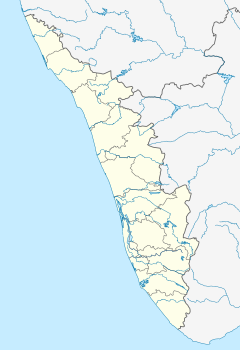 Kollam. 16 November 2012. Retrieved 21 December 2018. ^ "Railways cross a milestone". 12 April 2010. Retrieved 21 December 2018. ^ "Station Redevelopment Plan - Kollam Junction". Indian Railways. Retrieved 10 July 2017. ^ "Stations Profile 2017 - Thiruvananthapuram Division" (PDF). Indian Railways. Retrieved 14 March 2018. ^ "RTI reply about Annual Passenger Ticket Revnue 2015-16 : Kollam Junction". Indian Railways. Retrieved 10 July 2017. ^ "Southern Railway - Gateway of South India". Retrieved 12 March 2019. ^ "India Rail Info - Anantapuri Express". Retrieved 12 March 2019. ^ "Timings of new trains announced". The Hindu. Retrieved 12 March 2019. ^ "After 19 years, Chennai-Kollam regular train service to resume from Monday". The New Indian Express. 3 March 2019. Retrieved 12 March 2019. ^ "Kollam second terminal by October". Kollam: The Hindu. 31 May 2018. Retrieved 1 June 2018. ^ "New entry for rail station". Retrieved 12 February 2016. ^ "These 5 Railway stations in Kerala will first get Google's Wi-Fi! Is your city among the list?". Retrieved 9 October 2015. ^ "Experience high speed Wi-Fi at Trivandrum Central railway station". 30 October 2016. Retrieved 31 October 2016. ^ "Central station is Wi-Fi hotspot now - The Hindu". 29 October 2016. Retrieved 31 October 2016. ^ "Surf the rail net for free from Thiruvananthapuram station - The New Indian Express". 29 October 2016. Retrieved 31 October 2016. ^ "Wi-Fi in three more Kerala railway stations soon - The Hindu". 27 April 2016. Retrieved 31 October 2016. ^ "Free Wi-Fi service at 100 railway stations, Kollam latest to be enabled". 27 December 2016. Retrieved 27 December 2016. ^ "Railway WiFi: 100 stations now WiFi enabled, another 300 planned for 2017". 27 December 2016. Retrieved 27 December 2016. ^ "Free Wi-Fi service at 100 railway stations". The dayafter. 27 December 2016. Retrieved 28 December 2016. ^ "Free Wi-Fi service at 100 railway stations, including Kollam". Mathrubhumi. 27 December 2016. Retrieved 28 December 2016. ^ "Free Wi-Fi service now available at 100 railway stations across India, 400 stations to be covered next year". Economic Times. 27 December 2016. Retrieved 28 December 2016. ^ "TVM-Kollam passenger train derails, no casualties". 6 July 2018. Retrieved 21 December 2018.